If you are missing one or more teeth, implant dentistry can transform the way you live. Custom-fit dental implants provide a sturdy foundation for replacement teeth that look and feel perfectly natural. Patients who have lost the ability to chew their favorite foods or speak without difficulty can regain their confidence and the full functionality of their smile with dental implants. When you are seeking a beautiful replacement smile, you need a dentist that you can trust with your comfort and safety. Unique patients who require sedation dentistry certainly need a special dentist who is well-qualified in every realm of sedation and implant dentistry and we are proud to offer that for all of our patients in the Northern Virginia area, from Arlington to Alexandria. You can trust Dr. Mady with your dental anxiety or distinctive dental needs. He has seen it all, and he knows how to work with any kind of patient. While other dentists send their patients away to implant dentistry specialists for the tooth implant placement, we have all of the expertise necessary for placement and restoration right here in our office. Dr. Mady and his team would be honored to place and restore your dental implants, while ensuring your well-being from start to finish. Here at the Center for Dental Anesthesia, we place your dental implants while utilizing soothing sedation dentistry. We will then restore your dental implants with a bridge, dental crown, or even dentures. We also offer mini dental implants for patients who could benefit most from this type of tooth replacement. 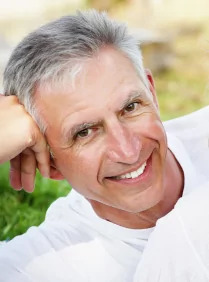 With state-of-the-art technology, we take all of the guesswork out of tooth implant placement. Dr. Mady knows that his patients expect a flawless procedure, and he provides them the greatest chance for success with surgical guides and 3D scanners. Our detailed surgical guide and cone beam 3D scanner allow us to ensure the precise placement of your dental implants. We are able to see beautiful three dimensional images of our patients’ jaws and teeth, which results in shorter treatment time and comfortable, operational results. For patients who have dental phobia, allergies to local anesthetic, physical or mental health issues, or other dental difficulties, implant dentistry may seem impossible. At the Center for Dental Anesthesia, the tooth implant process can be simple and painless for any kind of patient. We are the only office in the Northern Virginia area to provide hospital grade anesthesia. 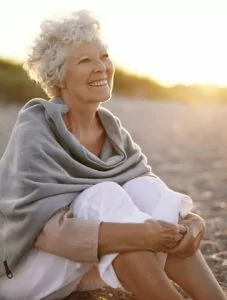 If you believe your tooth implant procedure could be easier with general anesthesia or IV sedation, schedule an appointment with Dr. Mady right away. If you live in Alexandria, Arlington, or Northern Virginia, and you are suffering with missing teeth, there’s no need to struggle any longer. We hope you give us a call today at the Center for Dental Anesthesia. We can’t wait to help you Wake Up With a Smile for the rest of your life!